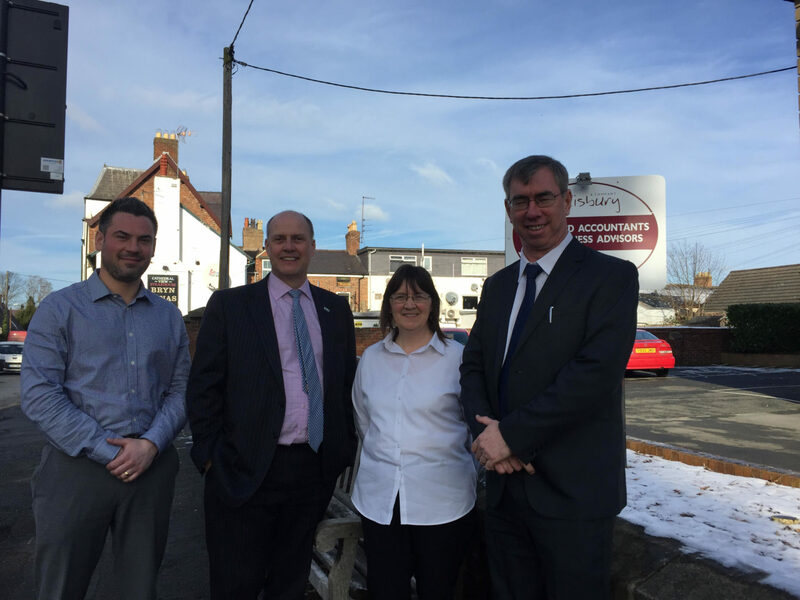 Banwell Accountancy Ltd, based in Penmaenmawr and owned by husband and wife team, Steve and Angela Banwell, has been acquired by Salisbury’s Chartered Accountants, of St Asaph. This follows on from the successful acquisition of Businesswork Solutions Limited in Ruthin late last year. From left to right: Steve Banwell, Angela Banwell, Aled Roberts and Jeremy Salisbury. 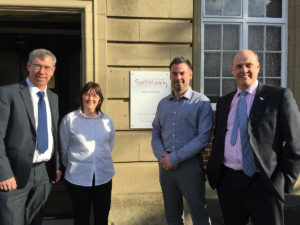 The combined firm will retain the trading name of Banwell Accountancy, as Steve will continue to work closely with the Salisbury’s team to ensure continued high quality of service for existing and new clients alike. The offices of Banwell Accountancy, in Penmaenmawr, will continue as before with extra staffing and IT resource brought in to extend the range of services offered and develop the firm’s people.